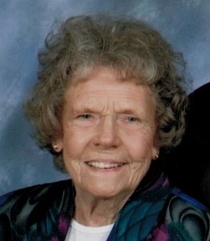 Margaret Walters, 86, of Linton, Indiana passed away on Thursday, April 28, 2016, at her home in Linton. She was born on November 10, 1929, in Sullivan County the daughter of Lloyd Hendricks and Agatha Oberene McQuown Whitlock. She was a member of the Lebanon Baptist Church, the Dugger Home Economic Club, and the Quilt Club. She graduated from Ivy Tech Nursing Program in 1973 and throughout her years as a nurse she worked at Glenburn Nursing Home and Good Samaritan Nursing Home. Survivors include her husband Charles Allen Walters Sr. of 66 years, two daughters, Linda Robinson (James) of Murfreesboro, TN and Judith Cottingham (Terry) of Vincennes, IN and one son, Charles A Walters Jr. (Cathy) of Vicksburg, IN, two brothers, Vernon Lee Hendricks (Wilma) of Sullivan, and Lloyd “Pete” Hendricks Jr. (Sharon) of Oregon, seven grandchildren, Laura Kraus, Hannah Sowers, Andrew Robinson, Layne Wortman, Jeff Powell, Brandy Holtzclaw, and Ryan Cobb, nineteen great-grandchildren, and two great-great-grandchildren. Funeral services will be at 11:00 AM, Monday, May 2 at Newkirk’s Funeral Home with Rev. Mike Rotman officiating. Interment will follow in Lebanon Cemetery. Friends may call from 5:00 PM until 8:00 PM on Sunday, May 1 at Newkirk’s Funeral Home in Dugger. In lieu of flowers the family requested that memorial contributions be made to the Gentiva Hospice of Terre Haute, IN and Lebanon Baptist Church of Midland, IN.